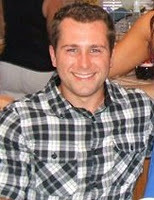 If you happened to stop by my office on the 17th or 18th of September you may have seen a sign that said “Gone Surfing”. However, this was no ordinary surf session, as the SD-CAB was invited for the first time to participate in the annual Cardiff Surf Classic and Rerip Green Fest. This annual event put on by the Cardiff chamber of commerce strives to bring environmental awareness to costal communities, and showcased a number of sustainable initiatives and products. Over 60 different organizations were present at the event ranging from organic food vendors to local water and power authorities (for a full list see here). The surfing itself featured a square off between the Cardiff and the Solana Beach sponsored businesses, which really seemed to get people excited about all of the different vendors present at the event. Even the surfing had gone green with many surfers riding used boards from the Rerip Board Swap, which included over 100 used surfboards for purchase or trade. preformed by SD-CAB scientists, common laboratory hardware such as pipettes and shakers drew a lot of interest from both young and old visitors. Getting hands on with the tools of the trade seemed to help a lot of people understand what our researchers do on a daily basis. 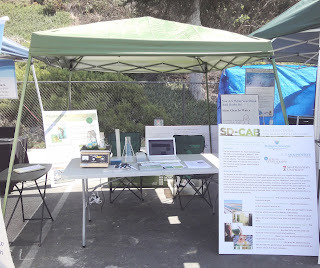 One young boy staring at flasks of the cyanobacterium Synechococcus elongatus declared, “You’re going to make gas out of that!” The SD-CAB booth also attracted the attention of a number of corporate representatives including individuals from Mo Bio Laboratories, Community Fuels, and the San Elijo Joint Powers Authority. With the wealth of biotechnology companies and green initiatives in San Diego, you never know who you will meet down by the beach! 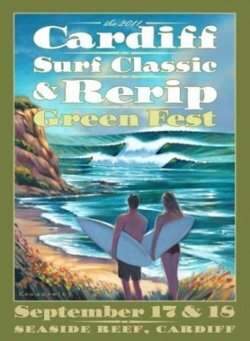 Overall the Cardiff Surf Classic and Rerip Green Fest was a great time and brought out hundreds of people of all ages and walks of life. The wide variety of people at the event provided an excellent atmosphere for both public education and professional interaction. If you get a chance to check it out next September I would highly recommend it!